Tests in the “remote and pristine wilderness” of Antarctica have revealed the presence of tiny pieces of plastic and hazardous chemicals in water and snow, Greenpeace said. 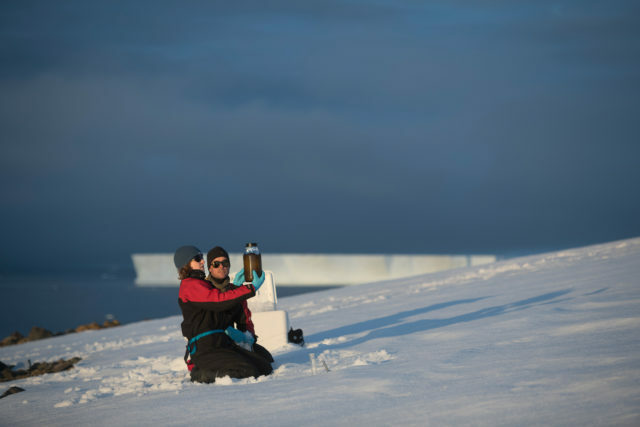 Lab analysis of sea water and snow gathered during a recent expedition by the environmental group to the Antarctic revealed the majority of samples contained “microplastics” and the persistent chemicals. Greenpeace also said its expedition had seen numerous items of fishing debris in the Antarctic, including buoys, nets and tarpaulins. The findings from the trip, which took place between January and March 2018, show “humanity’s footprint is clear” in the Antarctic, the campaigners said. Greenpeace is calling for urgent action to stem the flow of plastic into the world’s seas and curb pollutants at the source, and for a huge Antarctic Ocean Sanctuary to protect the wildlife and habitats found there. Out of eight samples of seawater taken by the team on the Greenpeace vessel Arctic Sunrise, seven were found to contain at least one tiny piece of plastic or microplastic per litre of water, such as microfibres which can come from clothing. Tests using trawl nets also found microplastic fragments in two of the nine samples taken. 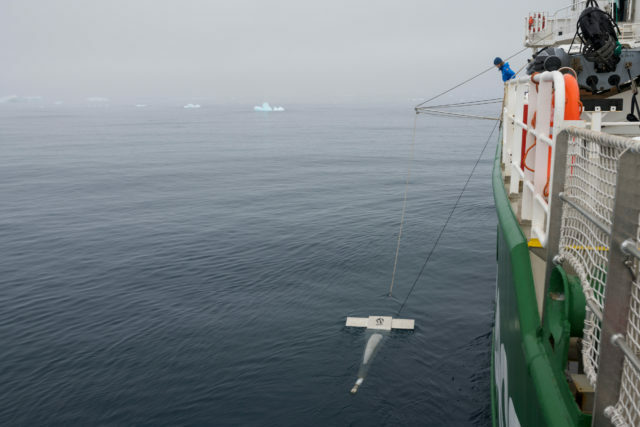 The findings come after scientists found record amounts of microplastics in Arctic sea ice and a plastic bag was spotted in the deepest part of the ocean, at the bottom of the Mariana Trench in the Pacific ocean. Greenpeace said there was relatively little data on microplastics in Antarctic waters and the analysis provided new information on contamination in the region. Meanwhile seven of nine samples of snow were found to have detectable concentrations of persistent chemicals known as PFAs or PFCs, including in freshly-fallen snow which suggests they were deposited from the atmosphere. The chemicals are widely used in industrial processes and consumer products, such as waterproof finishes on clothing, and have been linked to issues with reproduction and development in animals. Greenpeace previously revealed the chemicals, which degrade only slowly, if at all, in the environment and can be transported long distances, were found in snow and water samples from eight remote mountainous areas worldwide. Frida Bengtsson, of Greenpeace’s “protect the Antarctic” campaign said: “We may think of the Antarctic as a remote and pristine wilderness, but from pollution and climate change to industrial krill fishing, humanity’s footprint is clear. 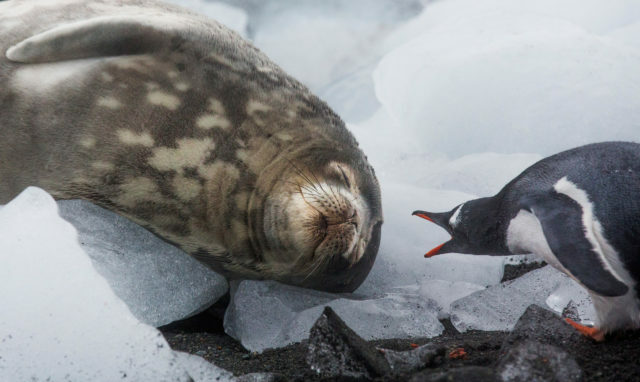 “These results show that even the most remote habitats of the Antarctic are contaminated with microplastic waste and persistent hazardous chemicals. She said the group saw “all kinds of waste from the fishing industry” in the Antarctic. “Buoys, nets and tarpaulins drifted in between icebergs, which was really sad to see. She added: “Plastic has now been found in all corners of our oceans, from the Antarctic to the Arctic and at the deepest point of the ocean, the Mariana Trench.